If you are anything like me, when going to a party or reception, the appetizers are the first thing that gets my attention. Having a great variety of appetizers and hors d’oeuvres to choose from is ideal. 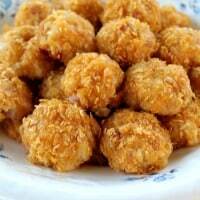 These little crunchy ham balls are so good! 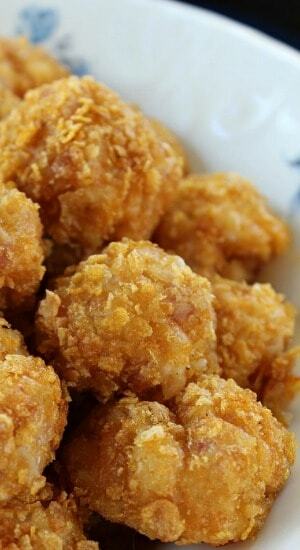 This is a great appetizer to make when you are going to entertain or just want a delicious snack. These balls are a hit with everyone! 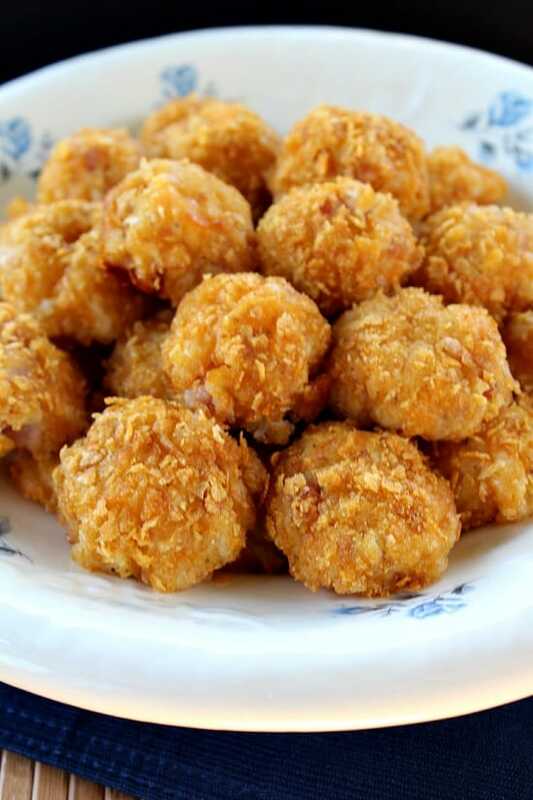 The crunchy coating just tops off these delicious bites that are full of potatoes, ham, and cheese. 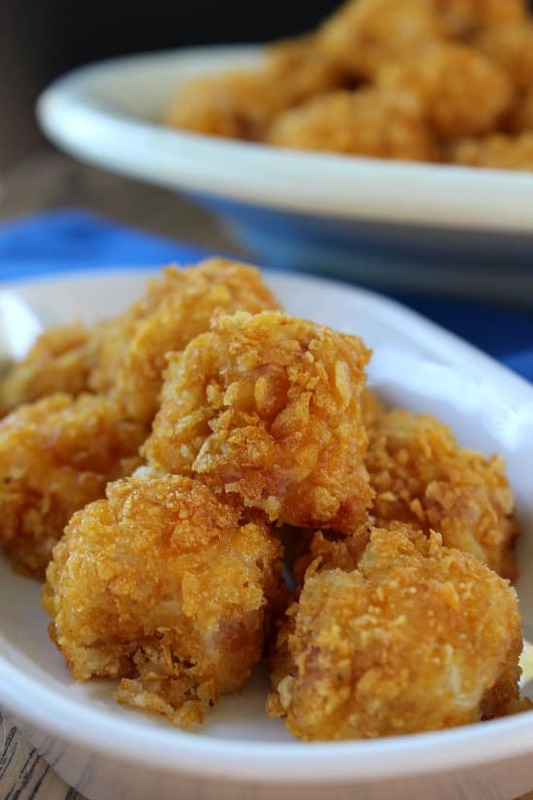 This is an easy appetizer to make and will disappear off your table before you know it. This is also a very versatile recipe where the ingredients can be changed up a bit to your family’s favorites. These are best served hot. In a medium bowl, beat egg. Combine remaining ingredients, except for corn flakes. Chill. Once chilled, shape into 1 inch balls. 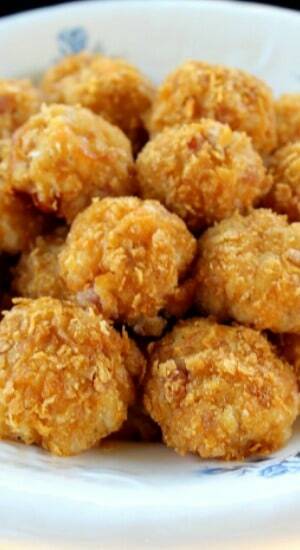 Roll balls in crushed corn flakes. Place on greased baking sheet. Cook for 25-30 minutes. Here are a couple pics that are the perfect size for pinning to Pinterest! Copyright © Great Grub, Delicious Treats. All content and images are copyright protected. Do not use any images without prior permission. If you want to republish this recipe, make sure to re-write the recipe in your own words and only list ingredients making sure to link back to this post for the original recipe and directions. Enter your email address here and never miss a single new recipe.